Michelin Latitude Tour tyre is developed to offer exceptional all-season performance for pickups, SUVs and crossovers. Michelin has engineered a champion in the form of Latitude Tour tyre that is aimed at long touring under abnormal weather conditions. Compared to its rivals, it is one of the finest performing tyres in its segment. The safest all-season tyre by Michelin provides class-leading dry traction as well as excellent wet grip under rainy conditions. 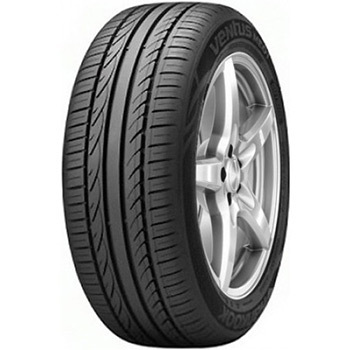 The tyre offers better cornering and steering response at high speeds. With Michelin Latitude Tour you can be more assertive behind the wheel, be it under city traffic conditions or seamless highways. The tyre receives the latest technical know-how in the form of low rolling resistance, use of unique rubber compound and improved circumferential groove design. It also retains a smooth and noise-free ride coupled with high tread life and better fuel mileage. The Ventus ME01 K114 has been engineered with the MSV technology to enhance the look and noise performance of the tyre. The asymmetric tread pattern used in the tyre makes it brilliant in cornering capabilities. The block stiffness optimization of Ventus ME01 K114 helps it in providing an exceptional performance on longer routes. The optimal 4-channel groove has been adopted for pattern stiffness that ensures superior traction under varied weather and road conditions. The Ventus ME01 K114 gets wide shoulder blocks to offer remarkable dry handling at high speeds and under soaring temperatures. The implementation of the centre rib results in incredible steering stability under wet and dry conditions. The performance-oriented premium tyre is ideal for the track as well as highway and expressway use.